← There is a reason the freezer was invented! Where ever it is, snow will always be a winter wonderland to me. 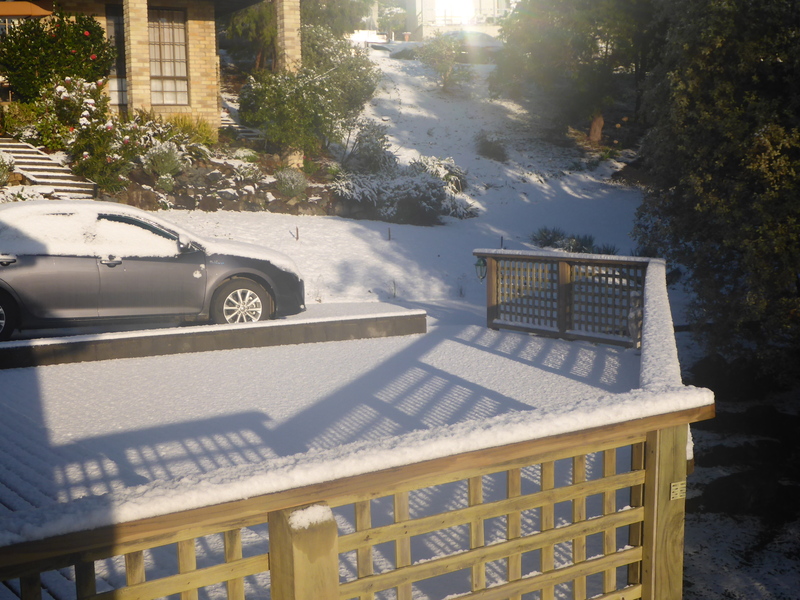 Last week it snowed in Hobart. Yes it does that from time to time but this time it was starting to look like a winter wonderland and not just a dusting of icing sugar on top of a cake. This was very exciting for us as we don’t get much more than a sprinkle from time to time. But it got me thinking about growing up in some pretty cold places where the snow was so deep you could just disappear into it. Places where you had to wear chains on your tyres and the black ice was horrendous. Places were you could drive cars across rivers and drill holes in the ice to go fishing. I have many stories to tell some are my memories and some are the stories my mum has told as I was way too young to remember. I do remember as a child the snow was magic, waking up in the morning and opening the curtains to see this blanket of untouched clean white snow. It was like a fairy tale where you expected snow fairies to be playing and the snowflakes should have looked like the ones you saw in books. 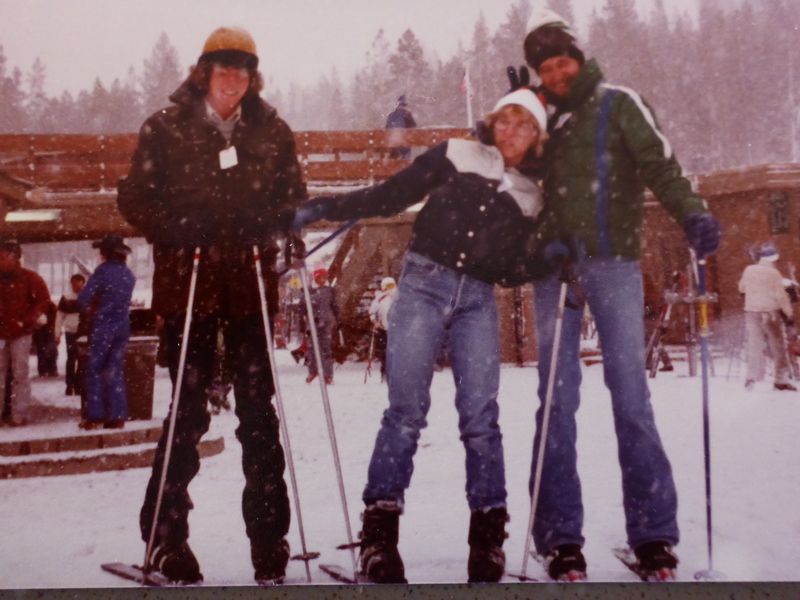 We lived in some very cold places, in the north of Canada, Virginia, Minnesota and Colorado where I finally learned to ski. I always remember stories mum and dad would tell of our time in Canada. My sisters and I were very young, dad was in the Air Force and was stationed in a town called Kapuskasing where the locals spoke French and the bears lived too close for comfort. To top it off we had just moved from New Mexico (where I was born) where the weather is hot and dry, not cold and snowy. What a shock to the system this must have been for my parents. We lived in a trailer park which had a lean-to outside where the rubbish bins were located. It was so cold the car engine had to have an electric heater/blanket on it so it wouldn’t freeze up and you couldn’t grab hold of the door handles as they would freeze your skin. One day dad went out to put the rubbish in the bin and when he ran back into the house mum said he was as white as a ghost. Yes he had just about run into a bear right outside our trailer. How scary is that? Also one morning when we woke and mum opened the curtains they found that another bear had been killed as they were just getting too close to human habitats and it was getting dangerous. Now that is cold and scary. We moved from one cold snowy place to another, from Canada to Virginia and then to a little place called Baudette, Minnesota. I was a bit older by then and remember a bit more about our time there. We had a lot of fun and played outside, in the snow on a regular basis and mum would rug us up in our coats, mittens, boots and hats then send us out the door. Brrrr. So cold we would only be out there for a as long as it takes to feel your extremities go numb from the cold, then we’d head back inside to strip off in the garage so we wouldn’t drag all that cold wet stuff into the house. We had a lot of fun though in the snow. You see we lived in what could be described as a horseshoe shaped street. At the top of the horseshoe was a playground and when we had a decent dumping of snow the snow ploughs would clear the road and dump it in the playground. Picture this! There is a slippery dip (slide) with massive amounts of snow pushed up against it making a big hill of snow. Perfect for sledding you say!? Yes nearly, but of course it meant that you would sled down the hill and straight into the street. Not perfect really but it was a small street with only local traffic so we were pretty safe. We would trudge up the cold steps of the slippery dip with whatever form of transport (sled, cardboard, plastic, bin lids) we had, slap it down in the snow and jump on. Whish….. Off we went flying down the hill, across the road and to tell the truth I’m not sure what stopped us but I know it was a lot of fun! Not far from our house was an ice skating rink as well and we loved ice skating. Dad always loved ice hockey so I think we were destined to get on the ice somehow or another. What was particularly unique about ice skating in Baudette was that we could actually put our ice skates on right at the front doorstep of our house and actually skate around to the rink. You see it was that cold that the roads normally had enough ice on them to actually skate on. How good is that!? For some reason I think we must have been destined for cold and snowy places as we ended up living in Denver, Colorado not once but twice. Yes more cold, more snow, more black ice. And this is where I learned to drive a car. I remember when I was about 20 years old and my Grandmother came for a visit. We had lived in Denver for a few years by then and I had a bit of experience with the snowy, icy roads. 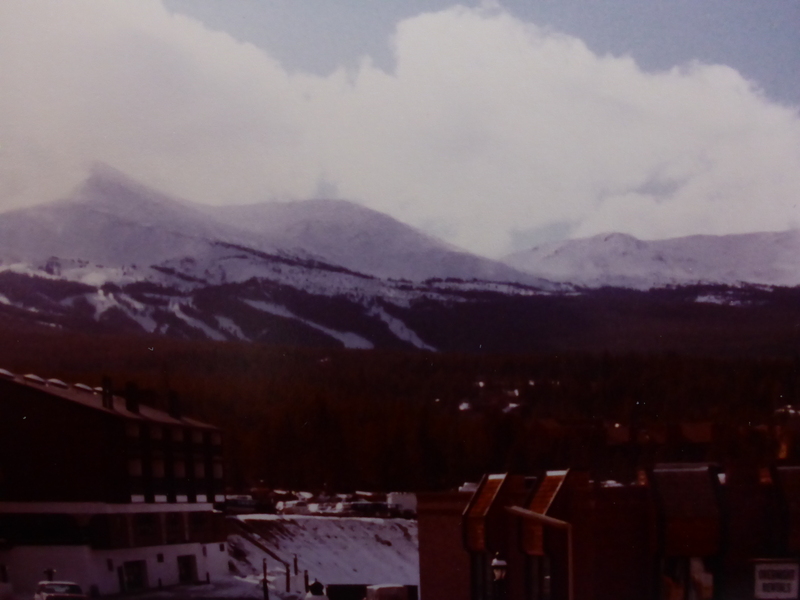 The family was heading up to one of the ski resorts in Colorado and I know my grandmother didn’t want to drive with me (young and inexperienced) but off we went into the white, cold and snowy mountains. We were followed by more of the family in my dad’s car and we hit some ice patches. I managed to keep the car on the road and going forward (as it should be). We made it safely to the ski resort and Grandma seemed a bit more confident in my ability to drive in these conditions. So I learned to ice skate, drive and snow ski in cold and snowy conditions. 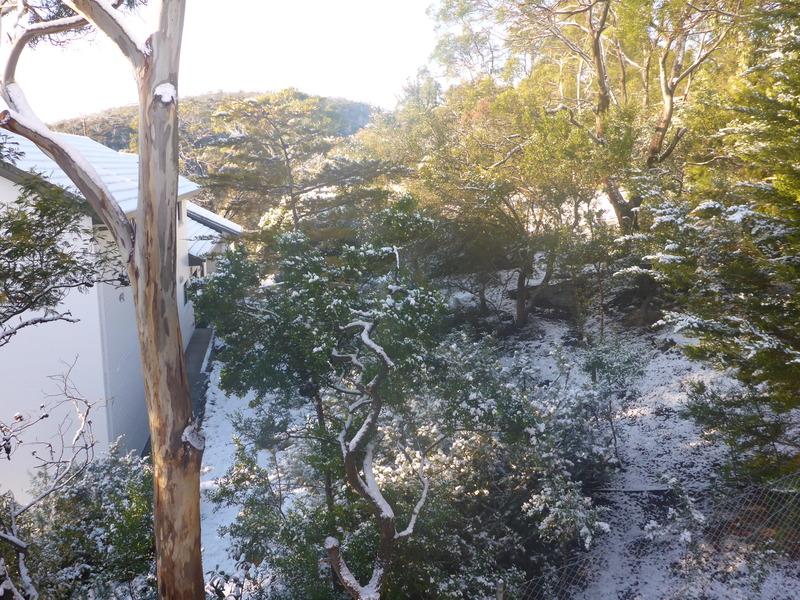 Yet I still get excited when I wake in the morning in Hobart Tasmania and there is snow on our deck, balcony, cars and driveway. Why would you not get excited? It is just magical, a winter wonderland for sure. There is so much more to tell and I wish I had more photos to share with you but for now we will remember the lovely days of winter, the fun that snow can bring and the joy of waking to a crisp, clear day with unspoilt snow covering the ground. Glorious! A little more than a dusting. This entry was posted in Home, My life in words!, Stories of my life, travels and Tasmania and tagged Baudette, Canada, Colorado, Family, Grandparents, Hobart, Kapuskasing, Memories, Minnesota, Skiing, Snow, Travel, USA. Bookmark the permalink.